Daughter of a former slave, Walker (born Sarah Breedlove) may be America's first female self-made millionaire. 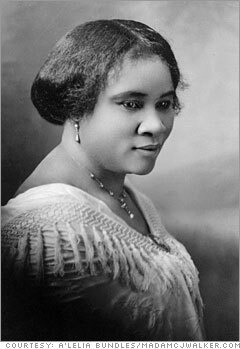 Beginning with a hair tonic in 1905, Walker made her fortune by creating hair and beauty products for black women. At the time of her death, the company employed 20,000 agents and had sales of about $500,000 a year.